The S. Cecillia Monastery, built around the middle of the thirteenth century, from 1270 was driven by the Lucini family and support of the Franciscans and the bishop Leone Lambertenghi. 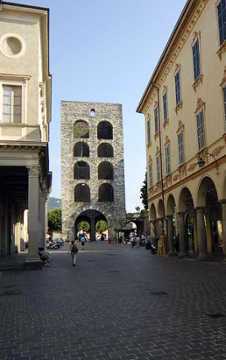 The building lies on the Roman walls of the imperial age, considered to be the Porta Pretoria Diocletian, destroyed by the Milanese in the Ten-Year War against Como (1118-1127). 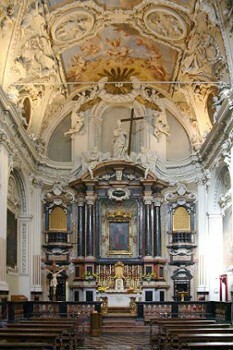 The Church of Santa Cecilia was built since 1573, by architect Bernardo Crowd from Osteno (Italian resort on Lake Lugano), the same architect who was later involved in the raising of Torre Maggiore of Pavia (1583). 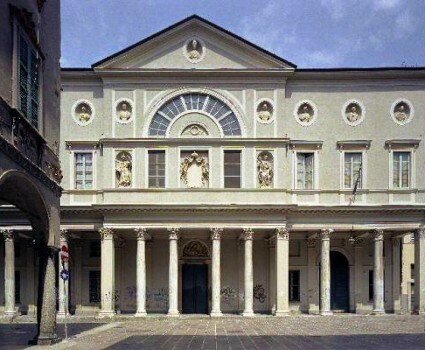 The new location of the church had to be chosen according to position, aligned with the Contrada dei Ratti, as a backdrop for processional citizens. Nearby Things to Do include: Castles & Ruins such as Como Gate Tower and Broletto; Museums such as Civic Art Gallery and History Museum G. Garibaldi; Monuments such as Statue of Alessandro Volta and Monumento ai Caduti per Servizio; Villas such as Palazzo Giovio and Villa Gallia; Towns such as Brunate and Blevio; Churches such as Basilica di San Fedele and Santuario del S.mo Crocifisso.